Paul Morris proved that something that ended totally wrong can go totally right the next time. One year ago he turned his life on end and moved to Colorado. Very soon after arriving he started the Fred Prindle Memorial City Park Criterium. On the last turn of the sixty minute race he crashed, hard. He walked away from the park toting a broken bike. Last Saturday he returned to the scene of destruction with one thought: I really want to win. He tried to break away but the pack defeated his attempts. Then in the final laps around the two mile circuit he watched several riders go, past green green lawns, fountains spilling water, and spiky trees overtaken by hooting Cormorant fledglings. Morris dug in and joined what became the winning break. Rubber-side down out of the final turn, he out-sprinted the others and took the win. So the next time something ends in bitter disappointment and the temptation to stew in regret or avoid the situation begins to settle in your heart, remember Paul Morris’ victory at the City Park criterium. 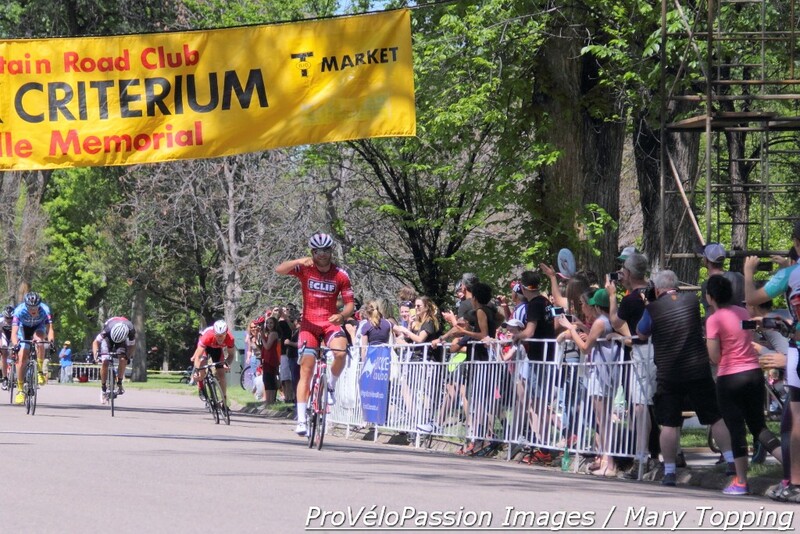 The Rocky Mountain Road Club (RMRC) stages the Fred Prindle Memorial City Park Criterium. RMRC athletes currently compete as the Thump Cycling p/b Turin squad. According to a Thump Cycling representative, the RMRC, which has existed for forty-plus years, named the race after team member Fred Prindle who died on a training ride while attending college in California.